Over 400 days later, Flint is still in crisis. A Recap: In 2014, the city of Flint, Michigan switched their water supplier to the Flint River. People noticed a difference in taste right away, and many began to get sick. Flint officials assured residents that the water was safe for consumption, and the problem was not brought to light until 2015, when lead was found not only in Flint’s water but also in the bodies of children. A state of emergency was declared, and federal aid was given. However, it is clear that this issue has not been resolved, and many have forgotten about the dangers that Flint’s residents face by drinking this contaminated water. So What’s Happening Now? 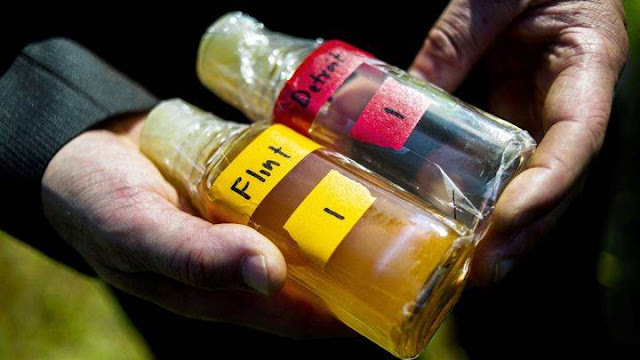 : It has been over 400 days, and Flint still does not have clean water. Residents struggle to cook dinner, and have even reported differences in the behavior and development of their children since Flint switched its water supply. Recently, Mayor Karen Weaver indefinitely extended the emergency declaration she signed in January, which was initially intended to expire on November 14. Over 100 groups signed a letter to Congress asking for aid, but Congress has yet to finalize its spending plans. In an attempt to assist Flint, U.S. District Judge Lawson ordered that officials must provide Flint residents with clearly-stated and current information regarding the state of their water, and bottled water if their homes do not have functional water filters. Unfortunately, the state is fighting this injunction, claiming that it is too expensive. How Can I Help? : To help, visit helpforflint.com for resident resources, updated testing results, and ways to take action. Please, do not forget the people of Flint. Remember that they still lack clean water, and share their stories to raise awareness.